The elusive hybrid of breakfast and lunch has never tasted this good. 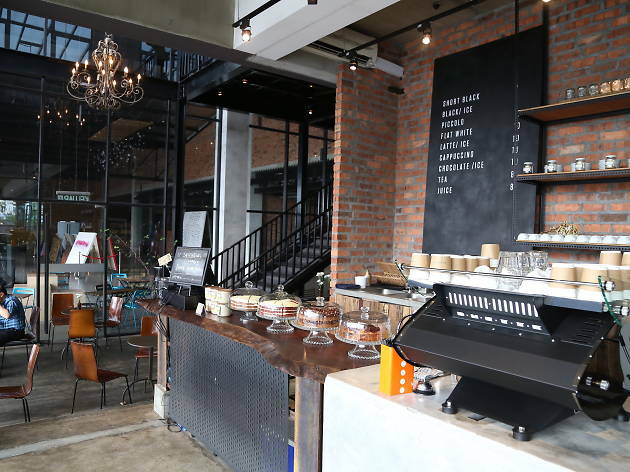 So kickstart your lazy weekend with these best brunch dishes in town. 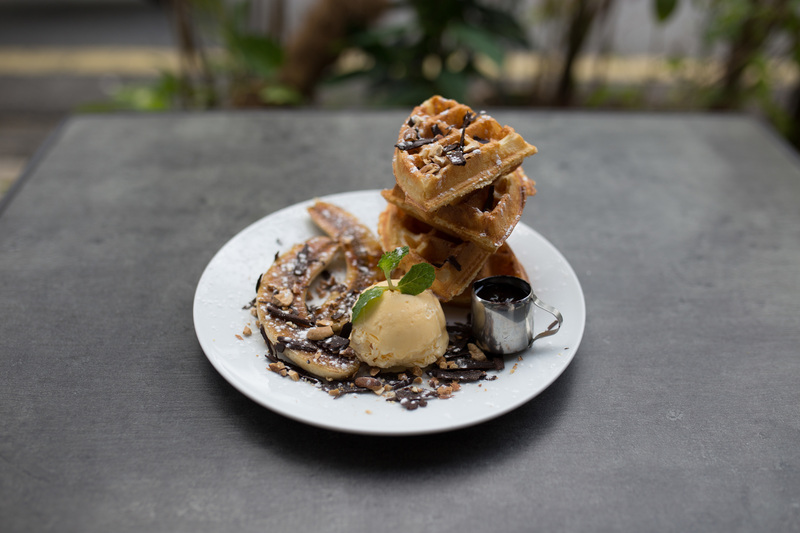 It’s easy to get lost in The Prep Room’s whimsically designed menu so we’ll just tell you what’s good: the banana chocolate waffle stack with double-whipped cream, caramelised banana and chocolate sauce. 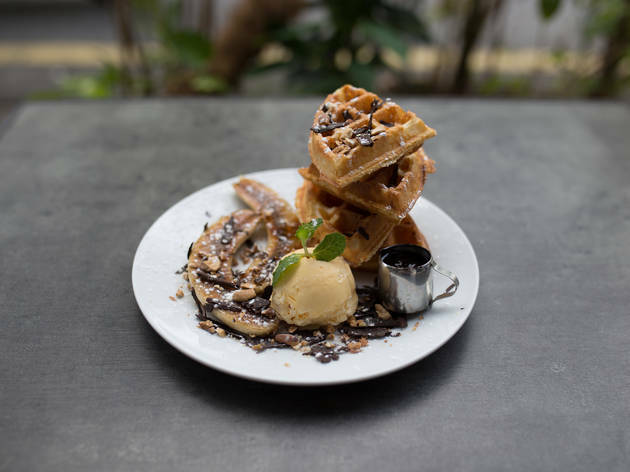 The waffles are just the way we like them – crisp on the outside and soft on the inside. Not a fan of the chocolate and banana combination? They also have a homemade peanut butter option and the classic red (strawberries, cream and maple syrup). If you’re looking for conversation starters over brunch, tilt your head up and check out the paintings and illustrations adorning the café’s ceiling. 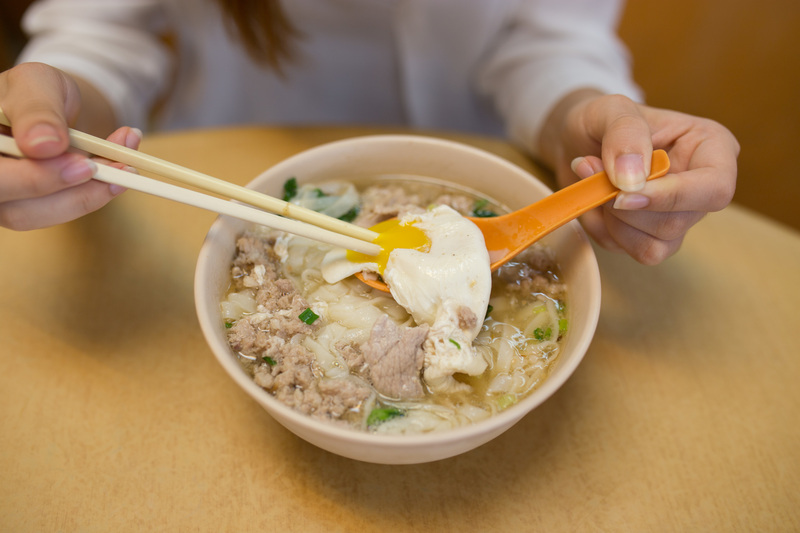 Ooi Noodle House do one thing only and they do it well; their famous pork noodles are made fresh bowl by bowl from a single stove in front of the shop. So expect to wait, but your patience will be well worth it. 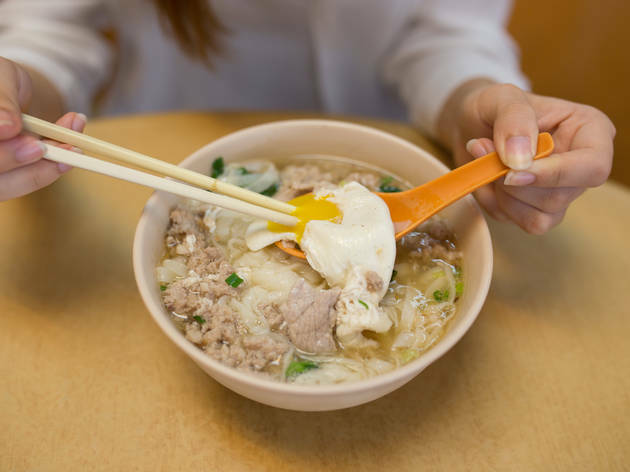 The cloudy soup is rich and sweet, and it’s further enhanced with the addition of pork slices, intestine, minced meat, liver and choy sum. To top it all off, a sprinkling of fried lard for crunch and more fatty goodness. 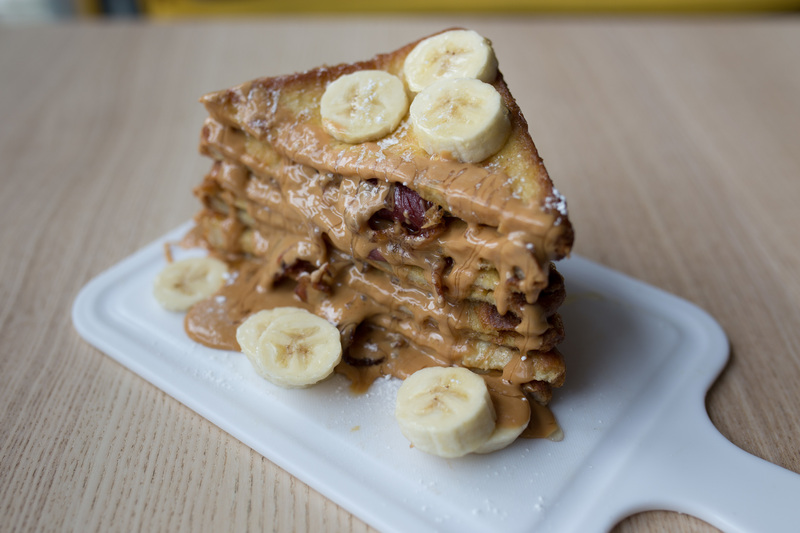 The ‘triple B’ in the name stands for peanut butter, bananas and bacon. This is one of those sweet-savoury combos we’re seeing more of lately. 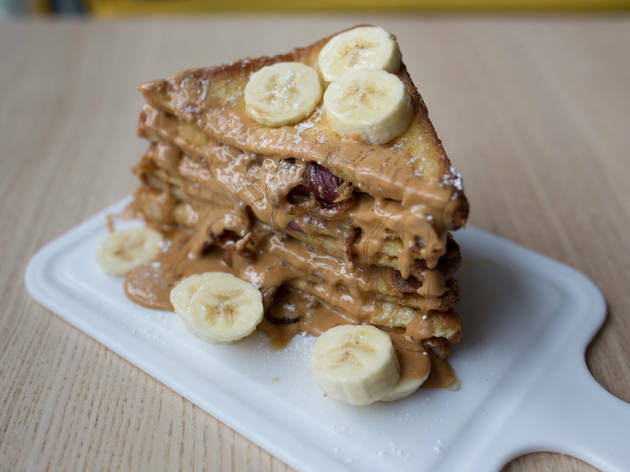 Thick brioche slices are dipped in rich vanilla custard, stacked high and layered with either beef or chicken ‘bacon’, and the whole thing is covered in peanut butter, drizzled with honey and topped with bananas – yes, it’s a mouthful. 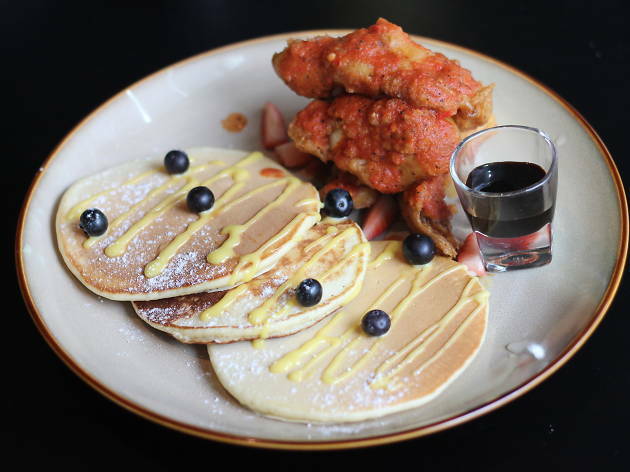 The dish that stands out among Botanica+Co’s classic brunch dishes is the Fried Chicken and Pancakes. Expect three large buttermilk pancakes accompanied by a small tower of chicken fillets, served with a side of chilli jam. 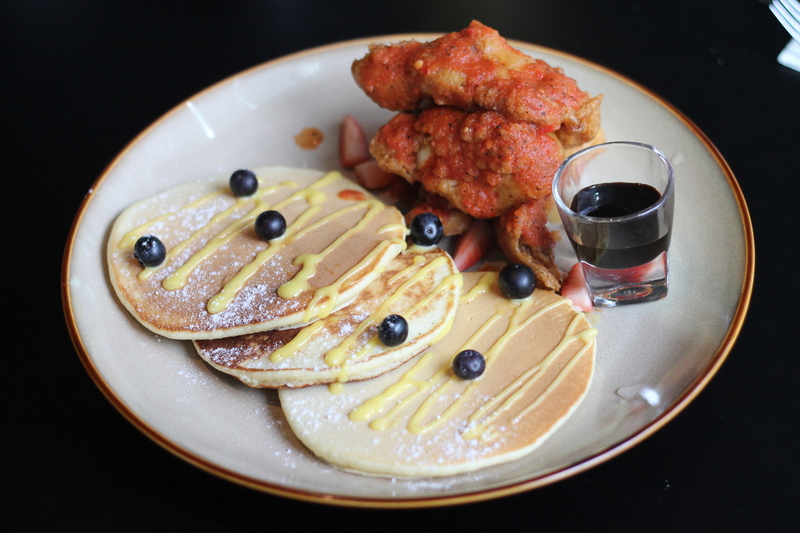 The chicken is fried Korean-style, with crisp, thin skin and a spicy, sticky glaze – the perfect complement to the sweet and soft pancakes. Better yet, the portion is big enough to share. 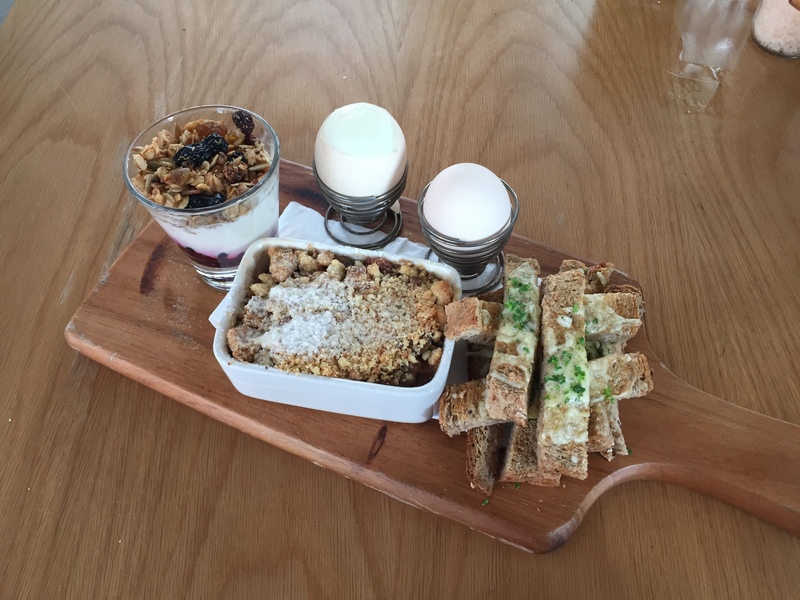 Breakfast Thieves’ Breakfast Chain platter is made for the indecisive: there’s hot and cold, soft and crunch, sweet and savoury, all in one dish. Start with the berry compote yoghurt with granola. Then dip your cheddar soldiers (sourdough toast sticks that remind us of cheesy garlic bread) into the two soft-boiled eggs. Save the dessert for last: it’s a pot of warm lemongrass-infused banoffee and strawberry crumble. 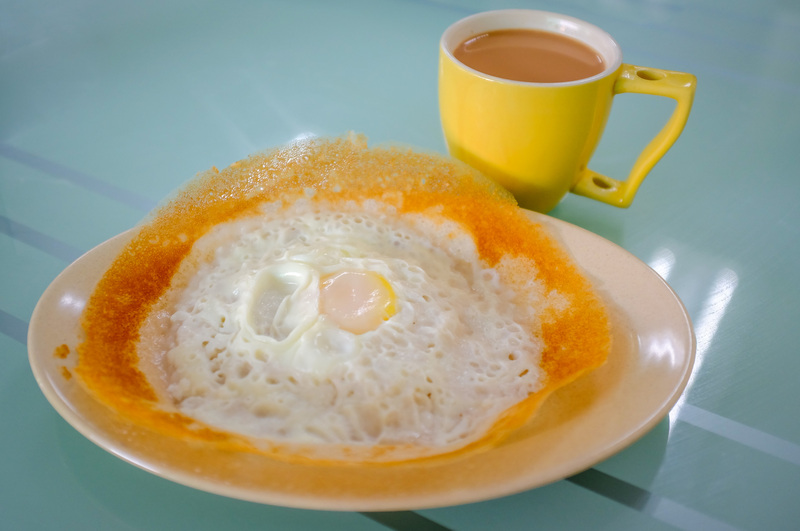 Love Mom Restaurant – a beloved Klang breakfast institution – serves a mix of Sri Lankan favourites and Indian dishes the likes of mutton varuval, chicken curry and bitter gourd salad, but it’s the crisp-edged appam with a soft creamy centre that cements the restaurant’s place in most Klangites’ hearts. 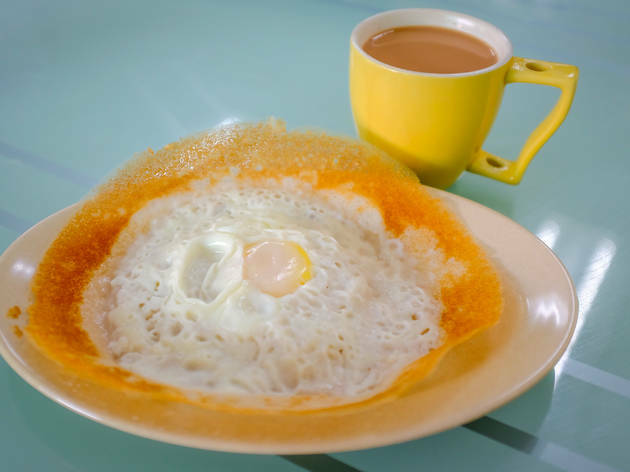 The shallow bowl of the appam showcases the gentle flavours of fermented rice batter, perfectly browned crisp edges, subtly sweet coconut milk and a pillowy centre – all of which warrant repeat visits. Try all three varieties: plain, brown sugar, or topped with an egg. It’s like any other big breakfast fry-up, only it’s vegan. Bacon is replaced with salty, smokey, protein-packed tempeh strips, plus the dish is amped up with lots of vegetables – a side salad with sunflower seeds, and a spinach, mushroom and tofu stir-fry with chilli. 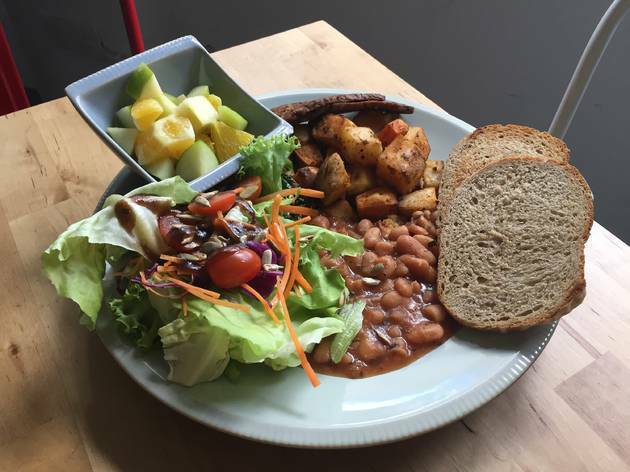 There’s also toast, baked beans, roasted potatoes and fruits on the generously portioned platter. You’ll be glad to know that RGB @ The Bean Hive offers other vegan, vegetarian and gluten-free options as well. It’s the usual suspects of fried eggs, bacon, sautéed mushrooms and grilled tomatoes. But the sausage and baked beans in this dish stand out as some of the best in the city. 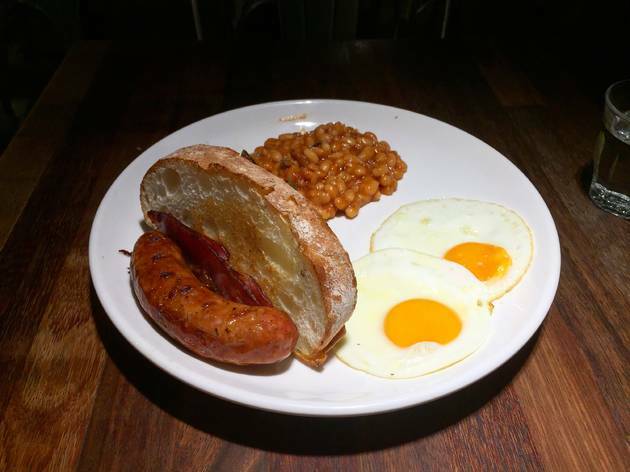 The house-made baked beans are fortified with ham hock for that extra bite and smokiness, while the firm and fat sausage has a skin so taut it produces a satisfying crunch when bitten into. The fry-up comes with coffee and orange juice as well – so yes, we suppose you could call it a complete meal. 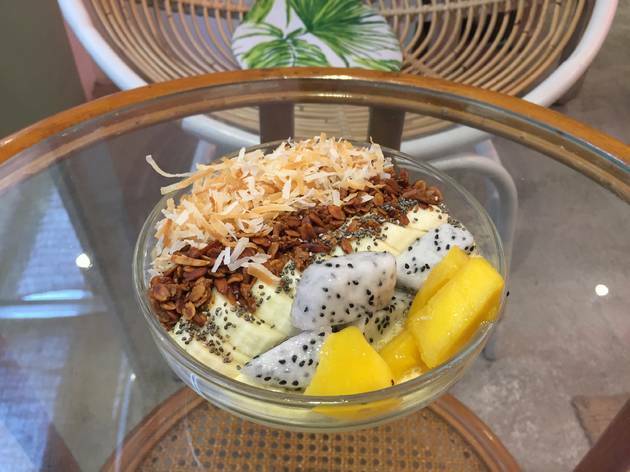 What we love about Rubberduck’s Sunshine smoothie bowl is the pineapple and mango smoothie base that’s blended with ice, making it a very refreshing treat in our hot weather. The smoothie base is then topped with sliced bananas, chia seeds, homemade granola, fresh fruits and Hawaiian coconut flakes. Coupled with the café’s sunny beach vibe, this brunch dish makes us want to go on a tropical holiday, stat. It’s easy to go overboard with chocolate; the misconception being no one ever complains about it being too rich. 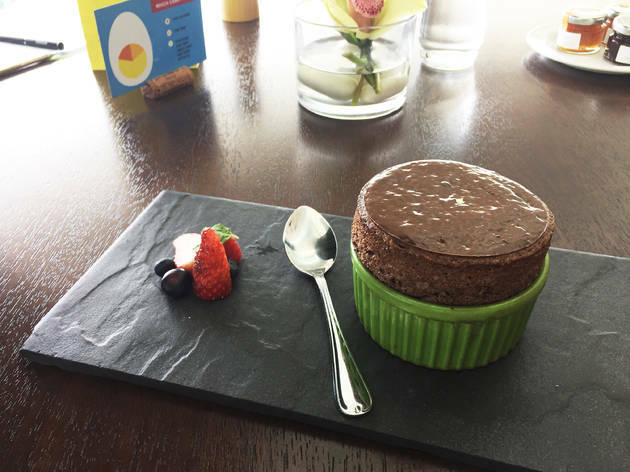 But there’s such restrain in this soufflé that makes it perfect for daytime enjoyment. 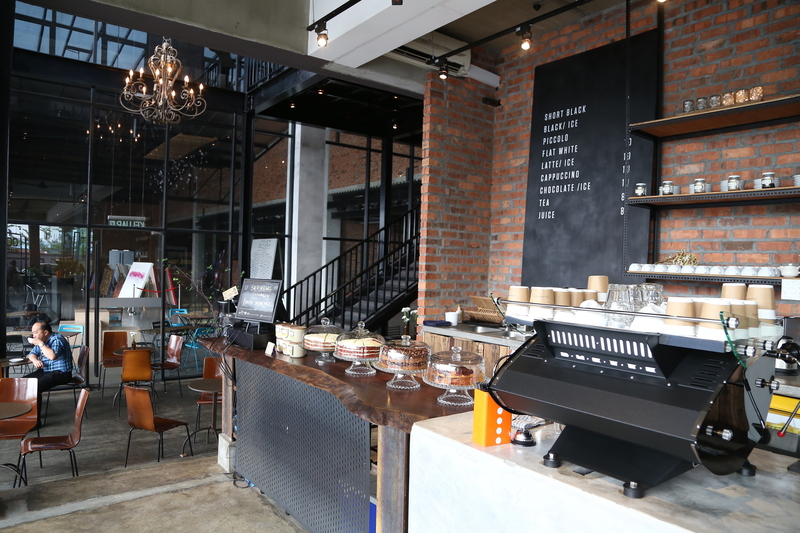 The chocolate is there – you can see it, taste it and even smell it – but it’s not overpowering or cloying. And that’s for the better because you’d want to savour the cloud-like lightness and airiness of this breakfast dessert.